In recent years, there has been an increased dependence on mobile workers. This has prompted a need for providing secure remote access to network resources as well as remote PC control. SonicWALL® provides a solution that meets the needs of organizations with demanding remote workforce requirements. SonicWALL Secure Remote Access (SRA) Series solutions, flexibly deployable as a hardware or a virtual appliance, are simple to implement and even easier to use for a fraction of the price of most other products. SonicWALL Virtual Assist/Virtual Access can be easily configured and licensed via the administrative interface as a cost-effective alternative to either traditional remote support tools or remote PC access productivity tools. Browser-based Virtual Assist thin clients can be pushed to technicians and customers to establish an interactive support session using SonicWALL SRA. Alternatively, Virtual Access can increase productivity by enabling IT administrators or authorised end users to gain secure remote access to their unattended Windows-based computers from anywhere via SonicWALL SRA. A personalized Web portal displays only the resources that are available to the user based on company policy. Remote PC control using SonicWALL Virtual Access enables administrators or authorised end users to gain secure remote control of their unattended Windowsbased computers from anywhere. Web Application Firewall Service* detects and protects Web applications (including the SSL VPN appliance itself) from Web-based attacks, reducing potential losses and adhering to data protection compliance mandates. Tokenless two-factor authentication provides enhanced protection against key loggers by combining a unique one-time password generated by the SSL VPN appliance and sent to a remote user's mobile device or email address, with the user's network user name and password. Load Balancing can be deployed to partition requests across multiple Web servers. High Availability allows administrators to deploy an active-backup pair of appliances to enhance uptime while reliably providing security for remote access users. Unified Policy displays granular bookmarks and policies in one centralized page, streamlining configuration, troubleshooting and administrative overhead. Administrators can easily create policies that can restrict user access to specific applications or resources, and prevent unauthorised access. The SonicWALL Secure Remote Access (SRA) Series for small- to medium-sized businesses (SMBs) extends secure remote access beyond managed employees to unmanaged remote employees, partners, and customers. A customizable portal enables users to access specific resources via a Web browser as defined by a company’s IT policy. SonicWALL SRA solutions for SMB can be used to provide users with access to a broad range of resources. SonicWALL SSL VPN solutions feature an intuitive Web-based management interface which offers context sensitive help to enhance usability. In addition, multiple products can be centrally managed using the SonicWALL Global Management System (GMS v4.0+). Resource access via the products can be effortlessly monitored using the SonicWALL ViewPoint reporting tool. In companies with distributed or branch locations, secondary disaster recovery sites, outsourced managed services or teleworkers, an administrator, technician, trusted service provider or authorised employee may require full control of specific PCs within the LAN from remote locations. SonicWALL Virtual Access licensed with Virtual Assist, enhances productivity by enabling secure remote control of unattended Windows-based computer desktops. SonicWALL Secure Remote Access appliances integrate seamlessly into almost any network topology and can be easily deployed alongside virtually any third-party firewall. Deployment with a SonicWALL Network Security appliance running Gateway Anti-Virus, Anti-Spyware and Intrusion Prevention Service along with Application Intelligence and Control further enhances security benefits. Deploying NetExtender in conjunction with Enforced Client Anti-Virus and Anti-Spyware on managed PCs enforces endpoint security. 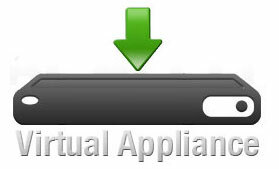 Virtual Assist also offers seamless integration by leveraging the appliance’s local and external authentication facilities. Furthermore, Web Application Firewall Service blocks attacks on the SSL VPN appliance and other Web applications. With an increasingly mobile workforce and greater threats of unexpected disruptions, remote access has become a business necessity. A SonicWALL SRA appliances for the SMB product deployed in one-arm mode alongside a SonicWALL UTM product or virtually any other third party firewall enables remote users to securely access corporate network resources from anywhere outside the LAN. Incoming HTTPS traffic is seamlessly forwarded by the SonicWALL NSA or TZ Series firewall network security appliance to the SonicWALL SRA appliance, which decrypts and authenticates network traffic. Users are authenticated using the onboard database or through third-party authentication methods such as RSA, VASCO, RADIUS, LDAP, Microsoft Active Directory or Windows NT Domain. To create a Clean VPN environment, traffic is passed through to the NSA or TZ Series firewall (running Gateway Anti-Virus, Anti-Spyware and Intrusion Prevention Services where it is fully inspected for viruses, worms, Trojans, spyware and other sophisticated threats. With more employees working remotely and customers dispersed globally, it is becoming increasingly important for organizations to provide remote support for off-site business devices such as laptops or home PCs. Ineffective support using expensive and cumbersome tools can undermine IT service level agreements and inhibit remote worker productivity. Using a SonicWALL Virtual Assist on an SSL-VPN 4000 or SRA 4200 appliance, a Technician can instantly access a remote device over the Web, transfer files, and chat with the end user, enabling rapid diagnosis and problem resolution, without the need for pre-installed “fat” client. Available as a licensed service, SonicWALL's Web Application Firewall (WAF) Service allows customers to protect their Web applications against Web-based attacks. WAF provides automatic signature updates for continuous malware protection and intrusion prevention. It can be used in conjunction with strong two-factor authentication which SSL VPN technology provides to control Web site access. By protecting against common protocol and Web-based vulnerabilities, WAF can significantly help financial, healthcare, e-commerce, e-billing and other related businesses attain PCI compliance. It also provides acceleration features such as content caching which can significantly improve the performance of protected Web sites. More corporations, universities, hospitals and governmental organizations are implementing wireless networks and using SSL VPN as a secure and centralized access control solution. SonicWALL SSL VPNs integrate seamlessly with SonicWALL wireless access solutions. When deployed alongside a SonicWALL firewall (running Gateway Anti-Virus, Anti-Spyware and Intrusion Prevention Services and several SonicPoints, a SonicWALL SSL VPN solution ensures that users get access from anywhere on campus and the wireless connections are encrypted via the SSL protocol. As an added bonus, remote workers away from campus can connect into the corporate network via an SSL VPN connection. IT maintains centralized, granular access control over who can access what resources using a single gateway. NetExtender: Any TCP/IP based application: ICMP, VoIP, IMAP, POP, SMTP, etc. Spike License based on Number of users needed to reach appliance capacity for the specified duration. Spike Licenses can stop and restart. *Incremental needed to reach capacity. For more than 1,000 user licenses, please request a quote!